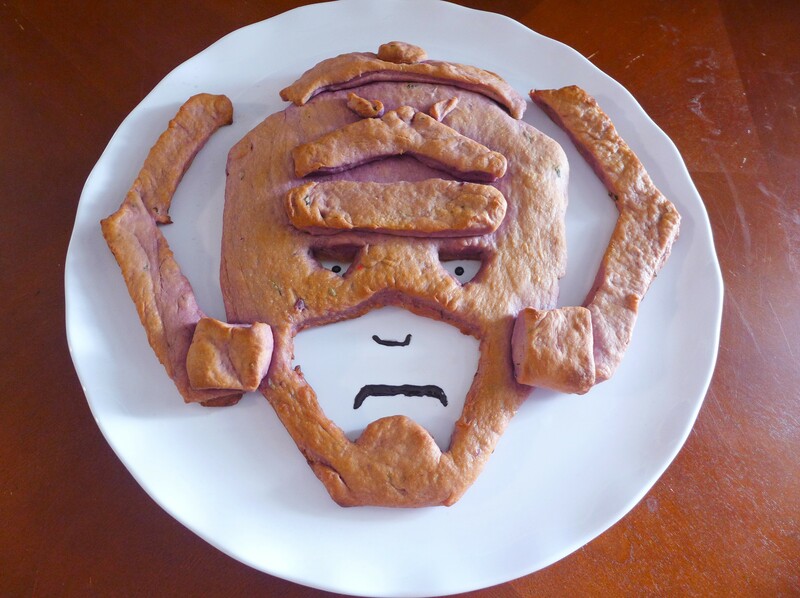 Hail Galactus, Devourer of Carbs! 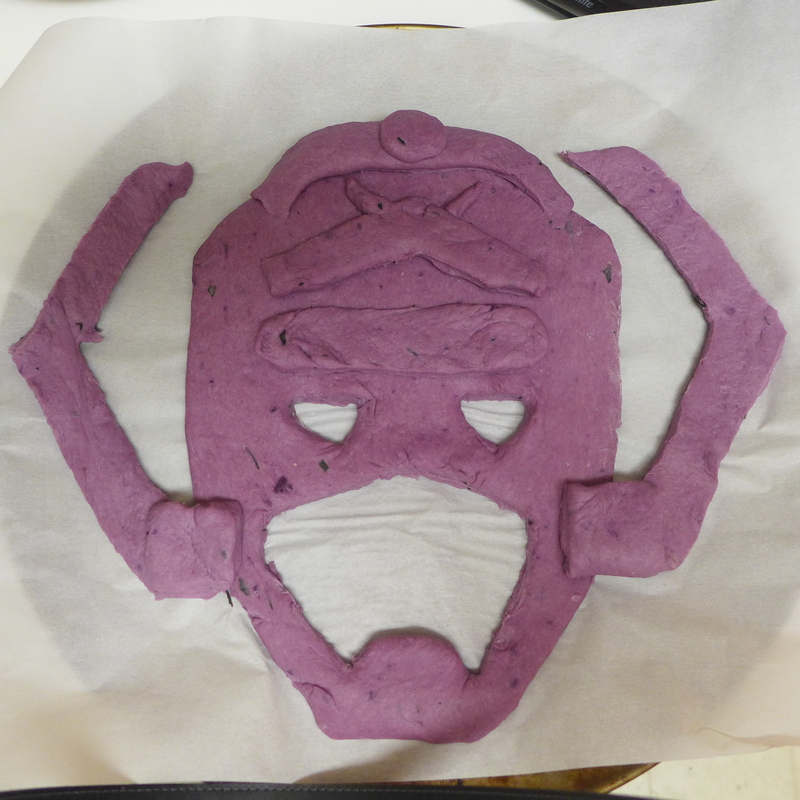 It’s time we turned the tables and actually devoured Galactus for a change! Tis the season of change. The herald of Galactus presented us with his master’s mighty visage and a warning to prepare ourselves to meet whatever gods we worship. But really, that only took about ten minutes. After that, I ran into him at my local farmer’s market and we swapped a few tips on cooking exotic tubers. Surfing isn’t his only hobby. For most people, fall is pumpkin season, but at both my farmer’s markets and more upscale groceries, it’s secretly PLEASE THOSE WHO HATE FOOD COLORING season. 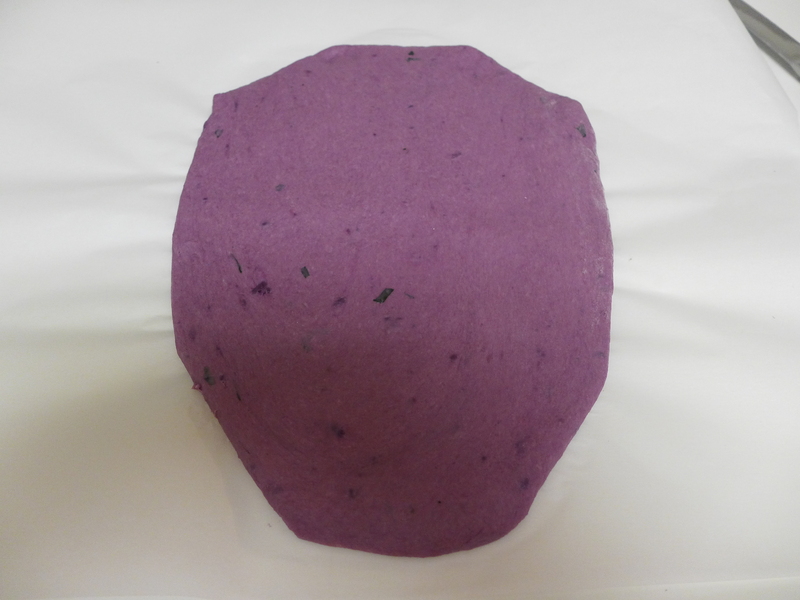 Okinawan Yams/Purple Sweet Potatoes not only turn anything they’re used in a gorgeous, all natural shade of purple, but they also taste pretty much like slightly denser, starchier versions of their orange cousins. 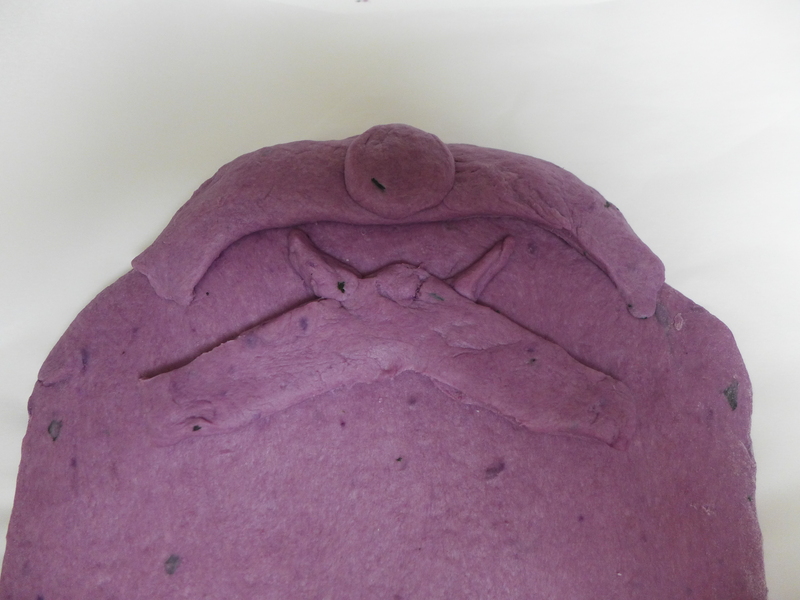 Yes, this means you can totally rock an all natural purple version of pumpkin-tasting bread, purple sweet potato pie, or lethally good purple biscotti arrows. 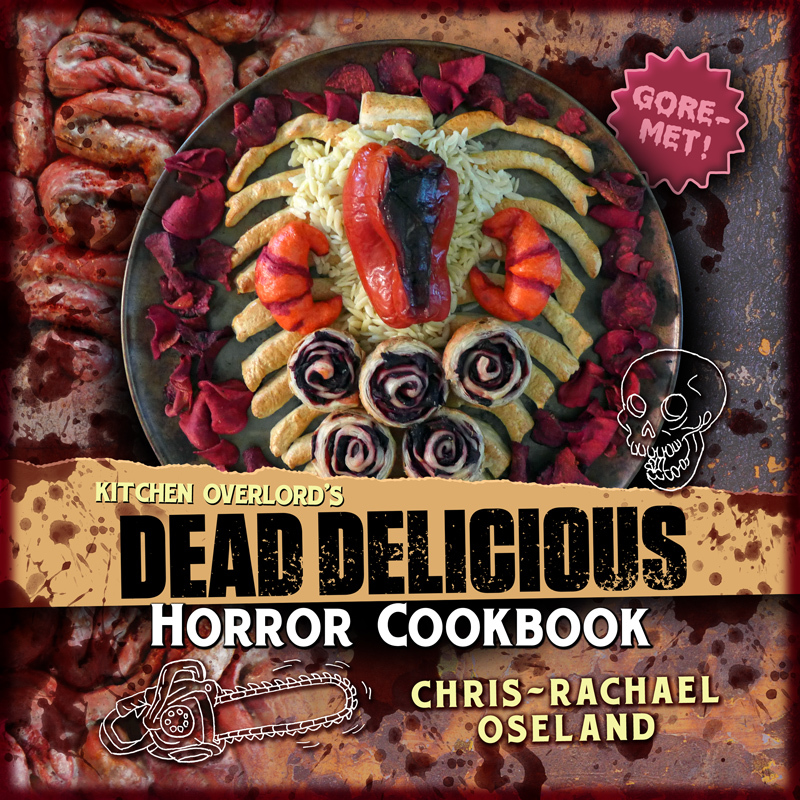 Or, in my case, create a pull apart bread I can defiantly rip to shreds with my teeth on camera while the Avengers battle the devourer of worlds. Use a fork to poke a few holes in your potato. Microwave it for 10-15 minutes, turning at least once. When your purple spuddy friend is cooked through, use a spoon to scoop out all the decadently colored flesh. Measure out about a cup and a half. 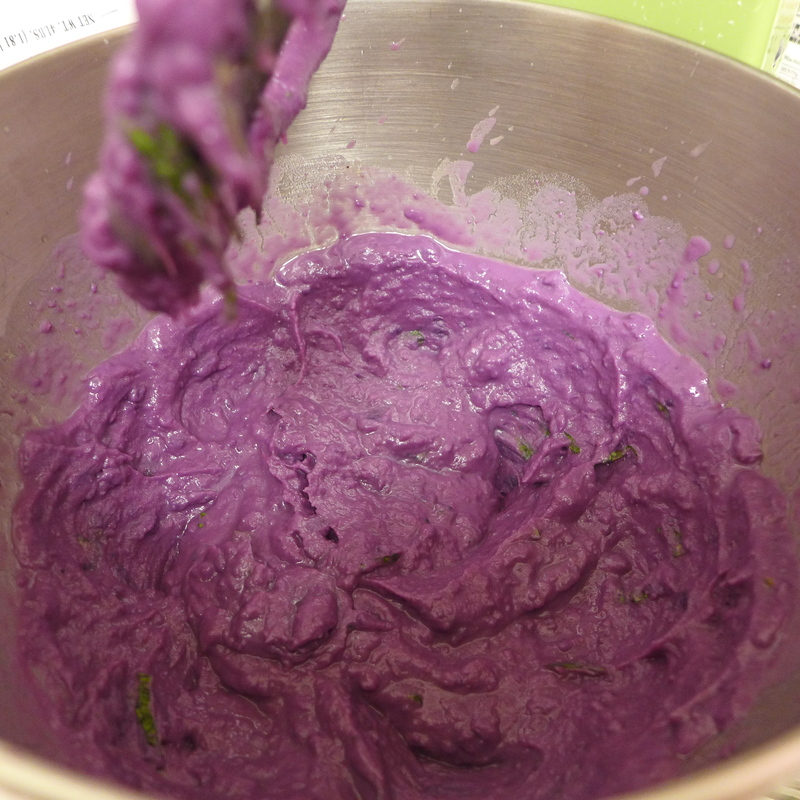 Soften it up by mashing the butter right into the purple potatoes. Don’t go crazy with a ricer. A little elbow grease and a sturdy fork should work fine. You really need to work the butter into the sweet potato first. 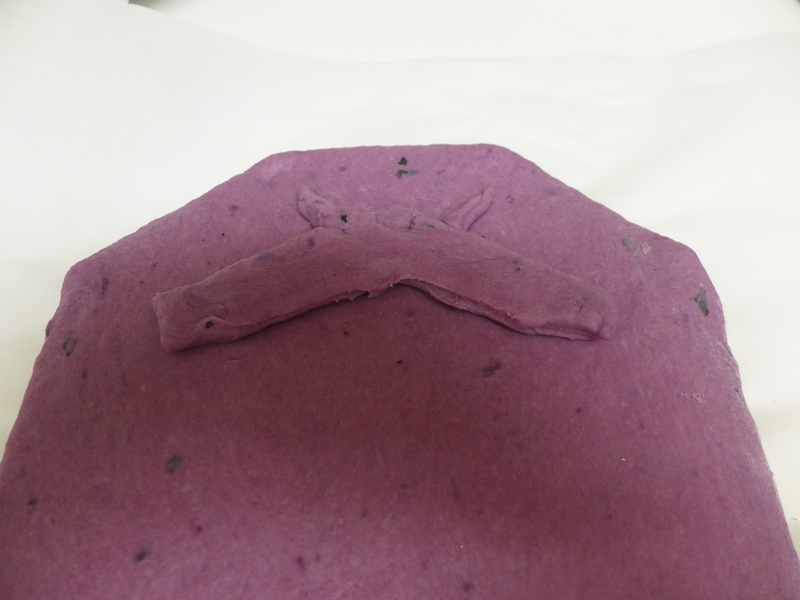 This makes it much easier to blend smoothly into the dough instead of getting stuck with unpleasant lumpy bits. While the potato cooks, dissolve your yeast and 1 tbsp of sugar in the very warm water. Let it bloom for 10-15 minutes, or until you have a frothy colony of healthy yeast eager to do your bidding. Once the yeast is ready, crack in the eggs. To keep them from getting lonely, add in the sugar, salt, rosemary and basil for company. Beat them like the Hulk making a point to Loki. 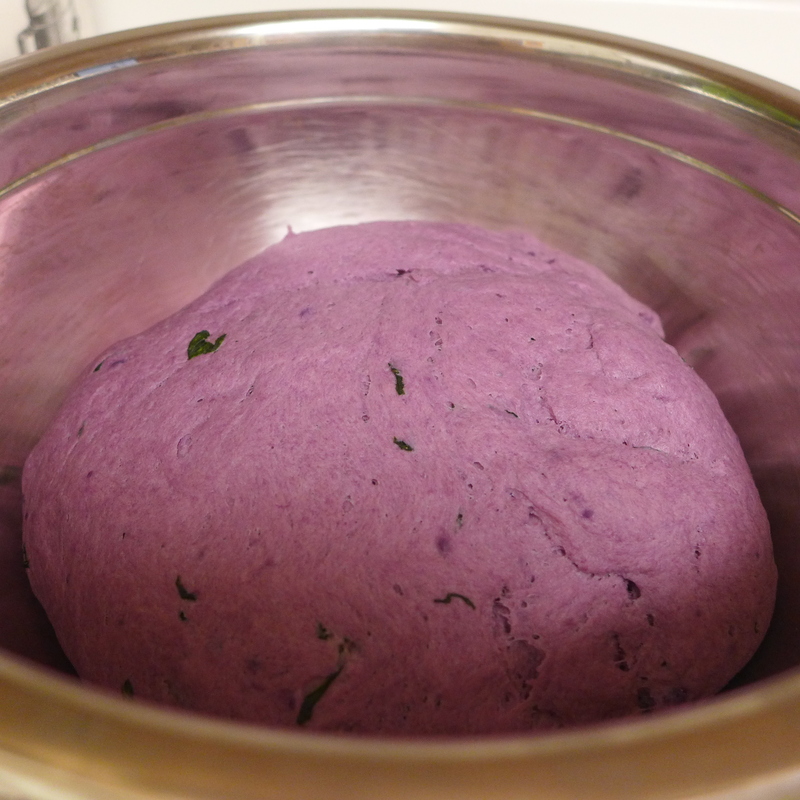 Once you have a quivering mass under your control, beat in the mashed purple sweet potatoes. Add flour by ½ cupfulls until you achieve a soft dough. You want it pliable, but not tacky. If you have a stand mixer, attach the dough hook and let it do all the hard work for 6-8 minutes. If you prefer to knead by hand, keep up the attack for 8-10 minutes. Put the dough in a greased bowl, cover it with a clean kitchen towel, and walk away for an hour. In about 60 minutes (or whenever the dough doubles in size) punch it down. 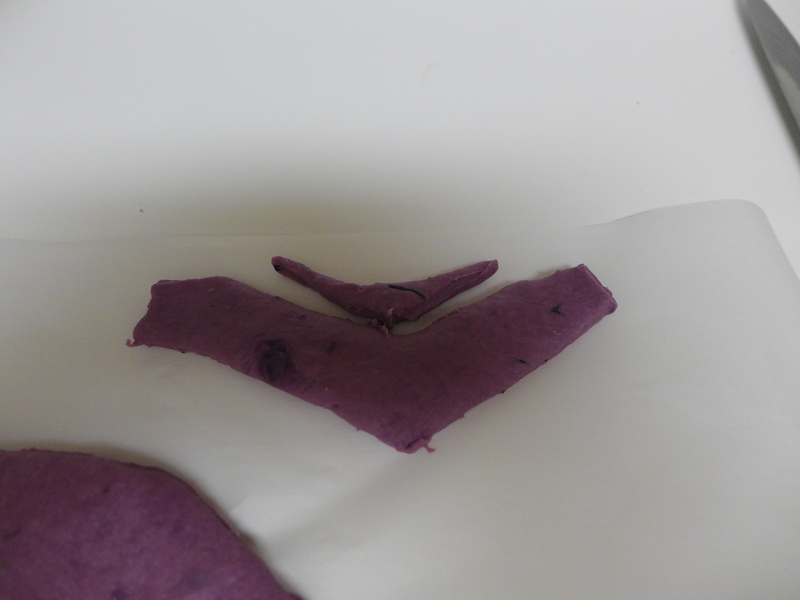 Rip off a piece of parchment paper. This makes transferring the head much easier. 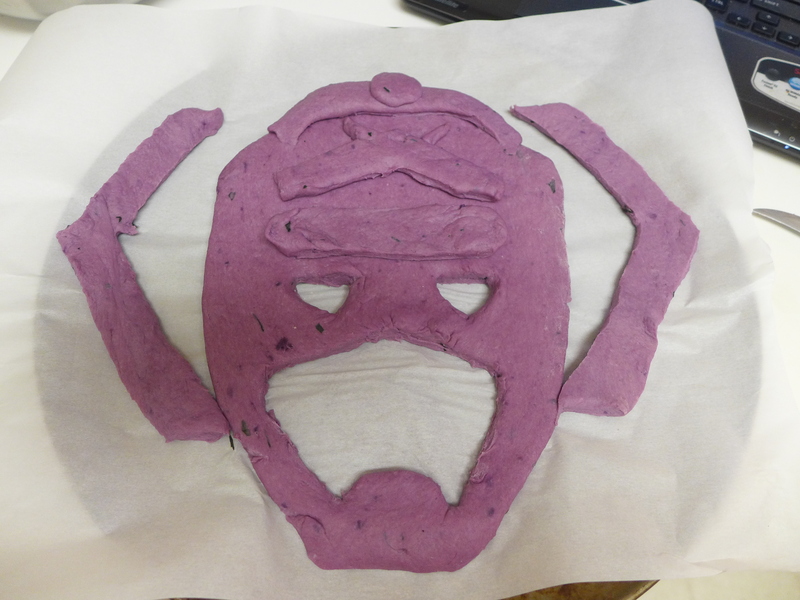 Now roll out a rectangle of purple dough. This will become his face. Trim off a couple triangles at the top to create the curves of his hat. 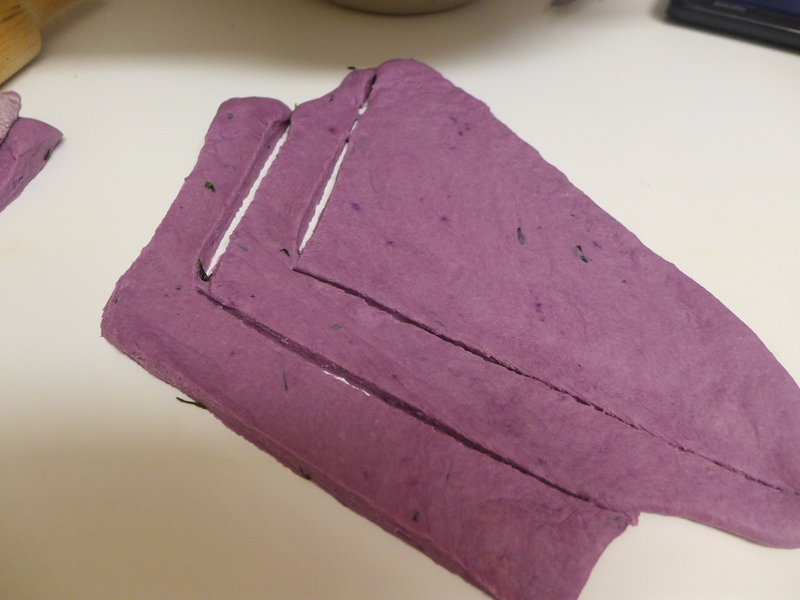 While you’ve got the knife out, trim off a couple wider triangles 1/3 from the bottom to create the shape of his jaw. That hat isn’t anywhere near fancy enough. Let’s create a little decoration by cutting out a couple smaller triangles. These will go above his brow ridge. When you break his hat down into simple shapes, it’s pretty obvious Marvel was almost as subtle with these devil horns as the ones they added to Magneto’s helmet. How else would we know they’re bad guys? Since horns aren’t fancy enough, his hat also has a little crown like shape on top. Cut out a rectangle and a small circle and arrange them at the top. The brow ridge is nothing more than a long oval. Put that under the horns. Use a sharp knife to cut out two triangular eyes just underneath the galaxy’s most terrifying unibrow. Time to make him scream for what he’s done! Cut out a rounded triangle for the bottom half of the helmet. Make sure to leave the chin tab in place. The inexplicable jug handle extensions really create the iconic look. Cut out a pair of squared off boomerangs to attach to his head. Almost done. He needs one more thing to hold the boomerangs to his head. Maybe those squares are earrings. 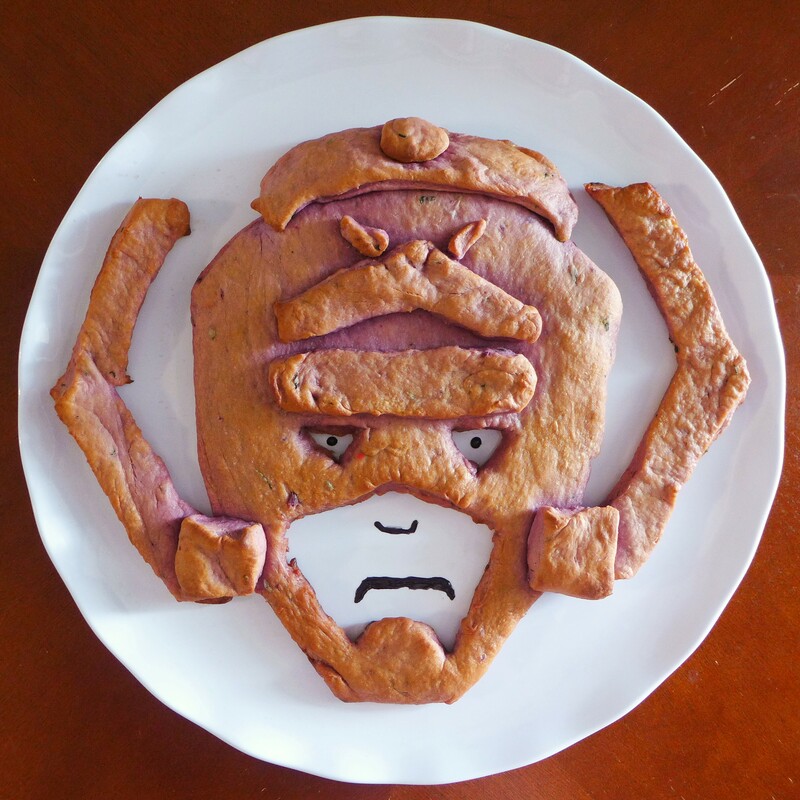 Clearly, Galactus isn’t afraid of dressing up for a fancy end of the world dinner party. Maybe they’re high tech ear buds so he can enjoy his favorite playlist while he enjoys your favorite continent. Mostly, they’re a shape to hold the bread together. Let the dough rise for 30 minutes. You don’t want it to completely double in size. Otherwise, it’ll grow out of control, much like the devourer of world’s appetite. Before baking, paint the entire dough with olive oil and sprinkle it with kosher salt. Look at that scream. It’s almost a shame to bake him. Almost. 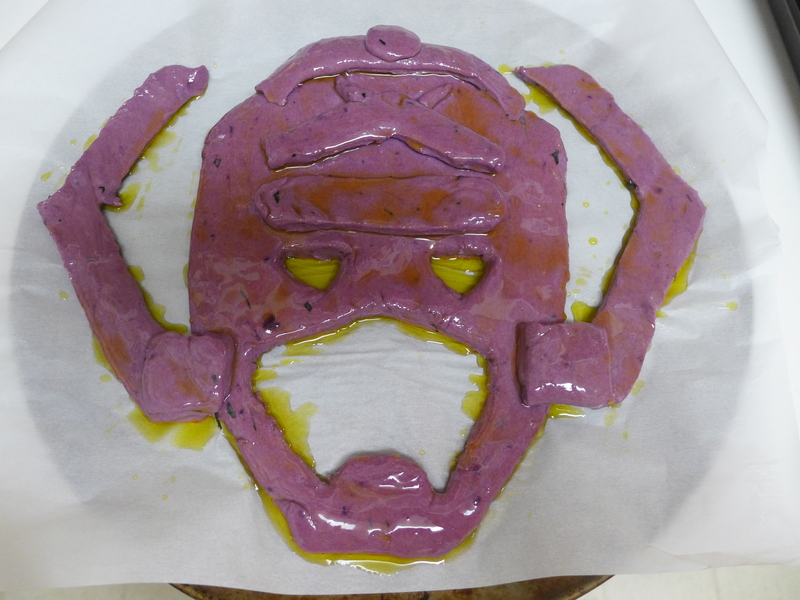 Cast him into the fires of a 350F oven for 12-15 minutes, or until the surface of his helmet has lightly browned. 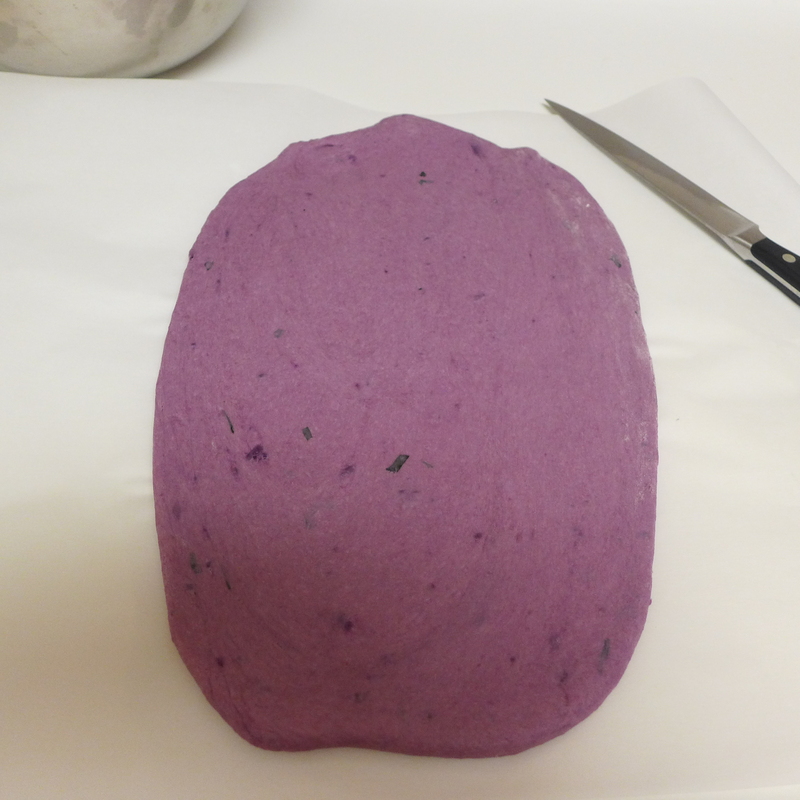 The interior of the dough will stay bright purple, but the exterior will naturally brown up while baking. That’s okay. 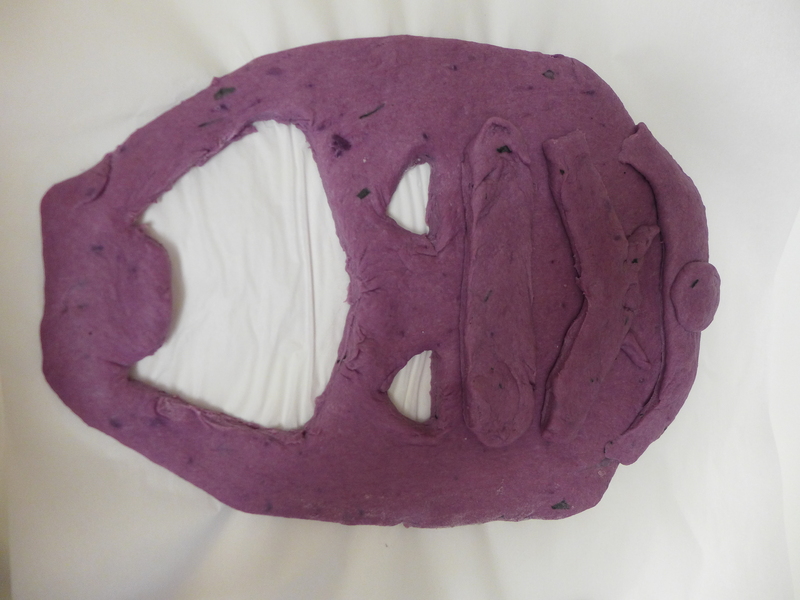 You can rip off part of his face and show everyone the true interior inside. 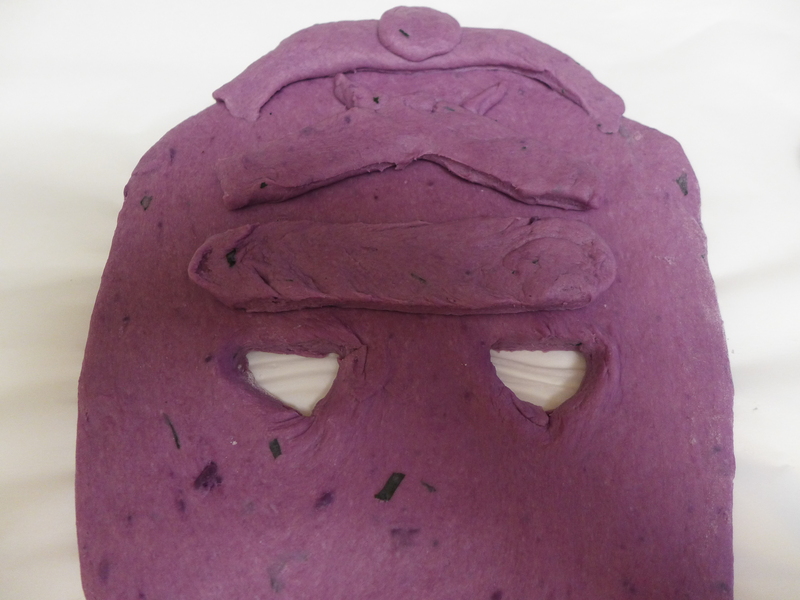 Before serving, add a couple dots of icing for the pupils of his eyes and a couple lines to represent his nose and mouth. Since this is a pull-apart bread, chop up some a couple cloves of fresh garlic (plus any leftover basil and rosemary you have around) and mix them into 1/4 cup of olive oil for a dipping sauce. Can’t get enough of this doughy madness? 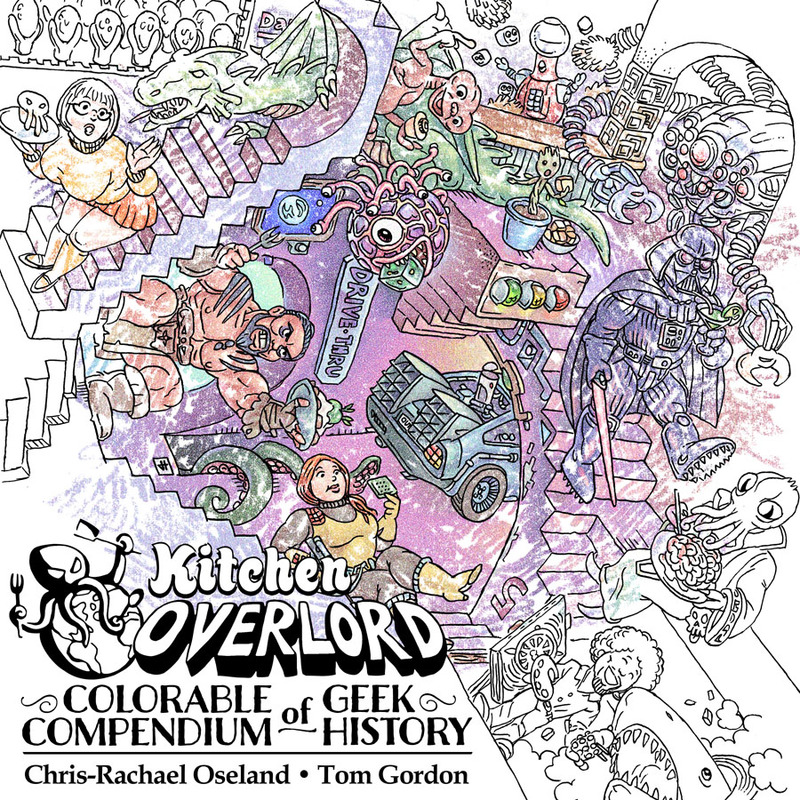 Stay tuned for Kitchen Overlord’s Geek Breads cookbook coming in December!